Thought-provoking. Existential. Poignant. These are all words that describe Claire North’s luminescent Touch. Instead of dying, Kepler has gained the ability to roam from one body to another, to jump into another person’s skin and see through their eyes, live their life – be it for a few minutes, a few months or a lifetime. There are many ways to catch a ghost sitting in the body of a loved one. Basic questions – name, age, father’s name, mother’s name, university – can be answered by any well-informed inhabitant, but it takes a matter of minutes to probe a little deeper. “I walk through people’s lives and I steal what I find. Their bodies, their time, their money, their friends, their lovers, their wives—I’ll take it all, if I want to. You must travel light when you wear another’s skin. It is someone else, whose face I borrowed for a little while, whose life I lived and who now may live the life I lived as I move on. We fall in love too easily, ghosts such as I. Absolutely recommended, for the monster in all of us. It’s funny, as much as I started to suspect that Kepler was female in their first life, I also kept reading them as very much male. I couldn’t tell you why. Probably personal bias, which is another interesting thing to look at about this book: how much the reader’s experiences and assumptions affect the gender we assign to a genderless person. 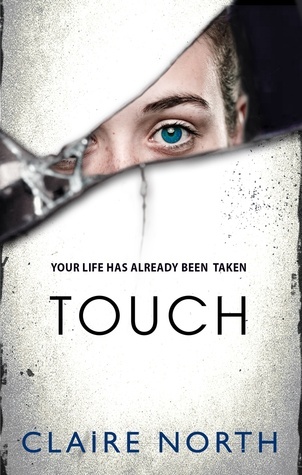 But yeah, I loved Touch. Loved the Harry August book, too, but I’ve always been the kind of person fascinated with immortality, and Claire North has played with the idea now in 2 fascinating ways that really appeal to me. This sounds great – I loved A Madness of Angels (written as Kate Griffin) so I’ll definitely give Touch a try. Great review. I’m adding this one to my TBR list. You’re right, this book was very thought provoking. I hadn’t expected that for some reason, but absolutely loved it.